Social Name: SISTEMAS DE ENVASADO ZERMAT, S.L. SISTEMAS DE ENVASADO ZERMAT, S.L (hereinafter also the provider) responsible for the website, makes available to users this document, which regulates the use of the website https://cortadorasgraef.com, with which we intend to comply with the obligations provided Law 34/2002, on Services of the Information Society and Electronic Commerce (LSSICE or LSSI), as well as informing all users of the website regarding the conditions of use of the website. Through the Web, SISTEMAS DE ENVASADO ZERMAT, S.L facilitates users access and use of different services and content made available through the web. Any person accessing this website assumes the role of user (hereinafter the user), and implies full and unreserved acceptance of each and every one of the provisions included in this legal notice, as well as any other legal provisions that may be of application. 2.1. Free access and use of the web. The provision of services by SISTEMAS DE ENVASADO ZERMAT, S.L. It is free for all Users. All the information provided by the User must be truthful. For these purposes, the User guarantees the authenticity of the data communicated through the forms for the subscription of the Services. It will be the User's responsibility to keep all the information provided to SISTEMAS DE ENVASADO ZERMAT, S.L. permanently updated so that it responds, at every moment, to its real situation. In any case, the User will be solely responsible for any false or inaccurate statements made and the damages caused to the provider or third parties. 2.4. Obligation to make correct use of the Web. This website has been reviewed and tested to work properly. In principle, the correct operation can be guaranteed 365 days a year, 24 hours a day. However, the provider does not rule out the possibility that there are certain programming errors, or that there are causes of force majeure, natural disasters, strikes, or similar circumstances that make it impossible to access the website. 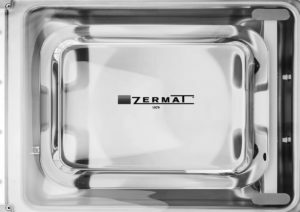 SISTEMAS DE ENVASADO ZERMAT, S.L. does not grant any guarantee nor is liable, in any case, for damages of any kind that may arise from the lack of availability, maintenance and effective operation of the website or its services and contents; of the existence of viruses, malicious programs or harmful contents; illicit, negligent, fraudulent use or contrary to this Legal Notice and conditions of use; or The lack of legality, quality, reliability, usefulness and availability of the services provided by third parties and gestures available to users on the website. The website, including but not limited to programming, editing, compilation and other elements necessary for its operation, designs, logos, texts, photographs and / or graphics are the property of the provider or, if necessary, It has the license or express authorization by the authors. All the contents of the website are duly protected by the rules of intellectual and industrial property. Regardless of the purpose for which they were intended, the total or partial reproduction, use, distribution and public communication require prior written authorization from the provider. Any use not previously authorized by the provider will be considered a serious breach of the rights of intellectual or industrial property of the author. The provider acknowledges in favor of its owners the corresponding rights of industrial and intellectual property, not implying the mention or appearance on the website, of the existence of rights or any responsibility of the provider over them, as well as endorsement, sponsorship or recommendation by part of it. For the resolution of disputes or issues related to this website or the activities in this developed, will be applicable to Spanish law, to which the parties expressly submit, being competent for the resolution of all disputes arising or related with its use the Courts and Tribunals of Barcelona.